Beaches, rainforest, native culture, wildlife and more! Ready to go? check out the full trip itinerary and our pricing and terms ! 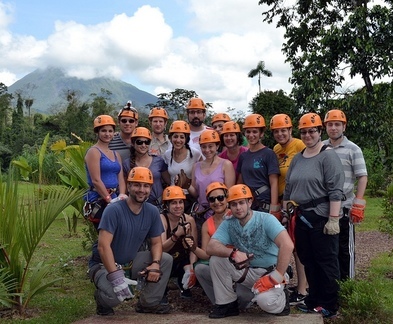 August 2014 trip zipline experience! The 8-night Jewish Costa Rica Experience for those in their 40s-60s offers a diverse adventure that combines the volcanic mountains of Costa Rica – with its breathtaking Pacific tropical beaches. We take the environment seriously, and plan our trips in accordance with the guidelines of eco-tourism: minimizing environmental damage through low impact travel, supporting local environmental projects and indigenous communities, and learning about the culture and natural environment of the places visited.